A £100 million facelift for Queen Street gets underway ,with the new look railway station promised by 2019. 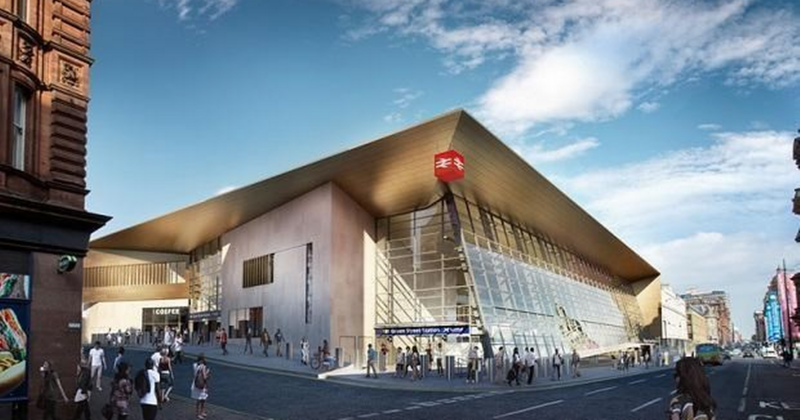 Network Rail announced Balfour Beatty secured the £16m contract for the £100million refurbishment of the station. The ticket office is set to open in the former Vale bar on Dundas Street, and you will no longer be able to access the station from the George Square entrance, with only Dundas Street and North Hanover Street entrances open. Network Rail say: “During different phases of the redevelopment of Glasgow Queen Street station, there will be changes to the way people get to and through the station. Works will take place ahead of platforms being lengthened to accommodate four-carriage trains. The Queen Street Station redevelopment is part of the £742m Edinburgh Glasgow Improvement Programme to upgrade the vital rail infrastructure linking Scotland’s two main cities and is expected to accommodate increased passenger capacity through the station from 20 million to 28m by 2030, and significantly reduce congestion. Glasgow Queen Street Redevelopment – Station Transformed from NetworkRailScot on Vimeo. What do you think of the new-look station? Work will begin on the next phase of redevelopment of Glasgow’s Queen Street station on Sunday 6th August.